Road Trip! | Half Heart. Whole Life. 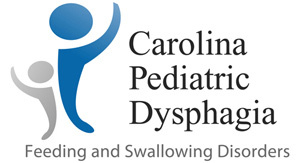 Posted on September 23, 2015, in feeding and tagged Carolina Pediatric Dysphagia, CHD, congenital heart defect, feeding, G-Tube, HLHS, hypoplastic left heart syndrome. Bookmark the permalink. 2 Comments. It sounds totally random, but eating “dum dum” lollipops really helped my son, JJ (HLHS post-Fontan) with his oral motor issues. He also has a g-tube and was never able to drink from a bottle. We’ve tried so many things to help him gain weight, but since he’s very active, it’s always a struggle. He had his Fontan in 2013 at under 30 lbs and recovered wonderfully. I was happily surprised. He still hangs around 30-33 lbs, but is a bit taller. Good luck with Nolan’s therapy!